In some previous small studies, it was shown that fermented dairy products had beneficial effects in reducing the risk of cardiovascular problems. In a new study, Dr.Justin Buendia examined effect of yogurt intake among known hypertensive population and found that higher yogurt intake in combination with an overall heart-healthy diet was associated with greater reductions in cardiovascular disease risk among hypertensive men and women.In the groups examined it was also found that Higher intakes of yogurt were associated with reduction in risk of MI.The new study has been published in the American Journal of Hypertension. High blood pressure affects about one billion people worldwide but may also be a major cause of cardiovascular health problems. Higher dairy consumption has been associated with beneficial effects on cardiovascular disease-related comorbidities such as hypertension, type 2 diabetes, and insulin resistance.High blood pressure is a major cardiovascular disease risk factor. Clinical trials have previously demonstrated beneficial effects of dairy consumption on cardiovascular health. 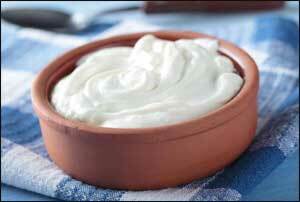 Yogurt may independently be related to cardiovascular disease risk. For the current analyses, participants included over 55,000 women (ages 30-55) with high blood pressure from the Nurses’ Health Study and 18,000 men (ages 40-75) who participated in the Health Professionals Follow-Up Study.